Induction hobs and ceramic hobs look very similar and both display marked cook zones upon the surface for your saucepans. So what’s the difference? Ceramic hobs work via a plate beneath the glass surface which heats up, and in turn heats the cook zone above. However, an induction hob doesn’t get hot during cooking. Rather than a plate, induction hobs contain a circular and tightly wound coil beneath each cook zone. When you switch the appliance on these coils generate an electromagnetic field, yet no heat is produced until you put your ferrous metal saucepan onto the cook zone, then the coil’s magnetic field is able to penetrate the iron inside the saucepan, this induces heat within the pan, and in turn this cooks your food. At the same time, the surface of the induction hob remains cool. Induction hob cooking speeds are much faster than other types of hob. When time is of the essence, induction hobs are brilliant because they are so fast! In fact, some induction hobs can cook foods 50% faster than gas hob models. It takes 9.06 minutes to boil two litres of water on a standard hob, 12.24 minutes on a 1.9 k/w gas burner, and 7.39 minutes on a 1.9 k/w gas hob; comparatively an induction hob can do the same in 4.01 minutes. This saves time, effort, energy and also cost, as shorter cooking times mean lower energy bills! One of the reasons induction hobs are a popular choice for families is because they are the safest type of cook top. As already stated, other types of hob become hot during cooking, whereas the surface of an induction hob will remain cool. As it is only the pan that gets hot and not the hob, it is harder to burn yourself (or others) during cooking (there may be a small amount of heat on removing the pan but a residual heat light indicator will alert you if this is the case). Only ferrous metals work on an induction cook top, and most have integrated sensors that can distinguish between varying metals. This means if you accidentally leave a metal fork or spoon lying on the hob’s surface, it will remain cool. Finally, most modern induction hobs are fitted with child locks so your children (or pets) can’t accidentally turn on the hob. The control panel also gives you the option to fix the temperature in place during use. Many induction hob models now offer a seamless fit with the worktop for a sleek and minimalist kitchen look. Unlike a gas hob this means there are no burners or dials interrupting the clean lines of a modern kitchen design. Instead, their ‘fuss-free’ surface makes for a timeless look and also makes them an ideal choice for small kitchen spaces where a clutter-less look is essential. When not being used for cooking, their flat surface allows extra counter space for other uses. It is also worth noting that the connections for an induction hob take up less physical space beneath the worktop than the connections required for a gas hob. This allows more storage space, or else provides access for any wheelchair users. 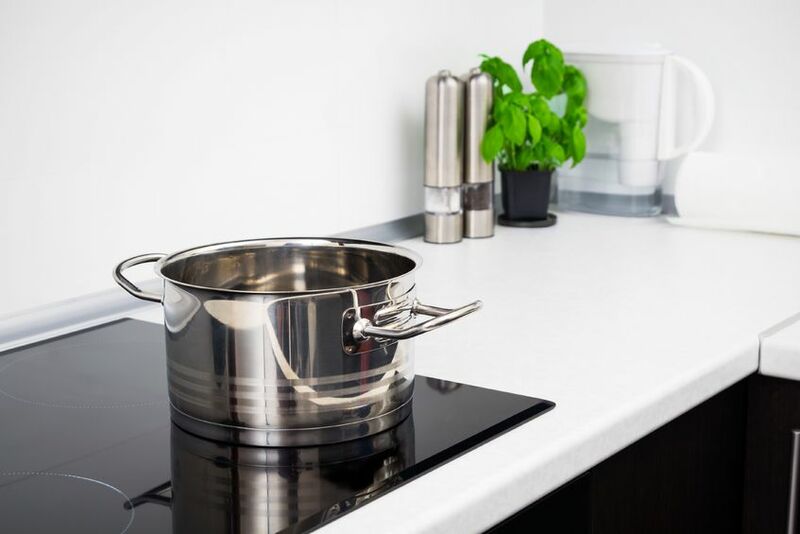 Induction hobs are available in a range of sizes to suit requirement. But there are also further options to choose from to enhance use such as flexInduction. Rather than separate zones, this type of induction hob provides an enlarged single zone, with an even distribution of heat across its surface. This means you can use pans of any size and anywhere across the single zone, allowing more flexibility and control during cooking. Flexible induction hobs can even detect the shape, size and number of pans you have placed upon the surface at any one time. There are also accessories specifically designed for flex induction hobs such as roasters and griddle plates. Induction hobs are very effortless to clean, so you can easily maintain your kitchen’s stunning look. With other hobs you usually have to wait for the surface to cool before wiping any spills and splashes. During this time these spills can solidify or burn onto the glass and become harder to remove later on. But with an induction hob the surface is cool already so you don’t have to wait to wipe it clean. Cleaning is not only faster but involves less elbow grease, and a damp cloth is usually sufficient. As the entire surface of the induction hob is flat you also don’t have to scrub at individual burners and rings as you would with a gas hob. When induction hobs first became available, their technology was really innovative. This made them somewhat of a niche product compared with gas and electric hobs, but it also meant they were very expensive. 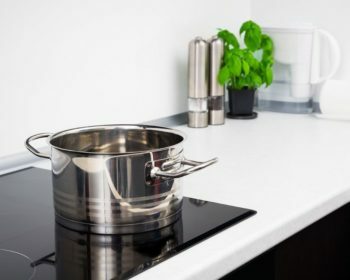 Since then, technology has advanced to the extent that induction hobs are now much more accessible to homeowners, and available within much wider price ranges among competing brands. But a potential drawback of the induction hob is all saucepans require a ferrous-metal base for them to work. This means stainless steel or cast-iron pans, but not copper or aluminium. You can check your existing pans with a magnet prior to buying; if it sticks they should work but if not you would need to invest in new pans. Some appliance models come with pans, but if you have to buy new ones always look for a set displaying the ‘induction cookware’ logo pictured. For best results you should also ensure your pans have an even and flat base. Any that are dimpled or ridged might compromise the otherwise even heat distribution during cooking. Induction hobs are more energy efficient than other cooking methods, resulting in lower energy bills. This is because they are faster but also operate at low voltage. Another reason is that less energy is wasted during cooking, with at least 84% of the generated energy transferred directly into the pan for cooking, compared with only 40% of energy during gas cooking. The connections for induction hobs are more straightforward than gas, making it easier to install. The preparations for this are also simpler because everyone has electricity but not always gas. It is also absolutely essential to have some form of ventilation for gas cooking to prevent gas from accumulating within the home and becoming dangerous. This isn’t the case for induction (although we would still always recommend an extractor as it also acts to remove cooking smells). 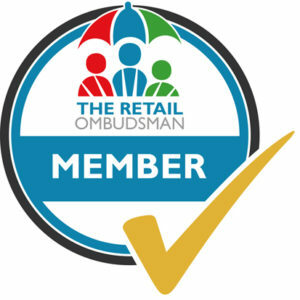 If you would like more information or help with choosing the right type of appliances for you and your home then pop into the Riggzy Complete Kitchen Solutions showroom at 241-243 Seaside, Eastbourne, East Sussex BN22 7NT or call us on 01323 301606.